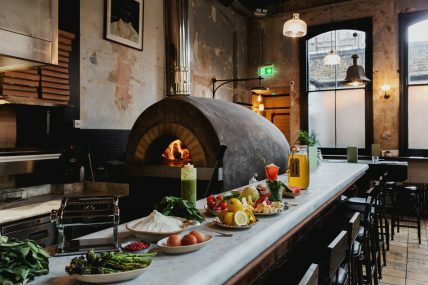 Dalby Firewood has been chosen to supply the high-quality cooking wood demanded by two of London’s pioneering new ‘real-fire’ restaurants. Both Flat Iron in Shoreditch and Martello Hall in Hackney have embraced the joys of cooking over a naked flame – each taking a different approach to attract the capital’s discerning restaurant goers. 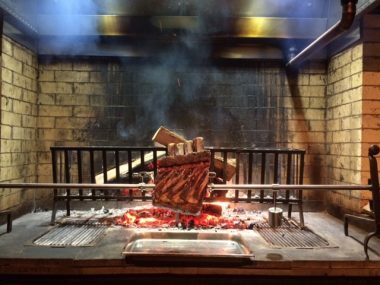 Watching your steak being expertly cooked on such a colossal spit roaster makes for a theatrical dining experience – but the success of the cooking relies heavily on the quality of wood used. When the supplier originally chosen to provide wood for the restaurant was unable to deliver a consistent quality of wood, Flat Iron discovered Dalby Firewood online. The restaurant wanted to use purely oak logs, because of the flavour it imparts to the beef and for its steady, even burning properties, with minimal flame – which is ideal for slow cooking. Dalby now provides regular deliveries of 50cm oak logs, which are specially cut for the restaurant. Over in Hackney, Martello Hall built its restaurant around a beautiful new Italian pizza oven from Modena. As the centrepiece of the restaurant, it is used to cook around 80% of Martello Hall’s Italian-inspired dishes. Pizza is Martello Hall’s speciality, but the restaurant also offers a varied menu that changes regularly, including dishes such as roast chicken, frittata, meatballs and a range of breads. Cooking in the wood-fired oven requires great skill, as it reaches temperatures of 400°C and can cook a pizza in just two minutes. That means it’s very easy to over or undercook the food – and is the reason Martello Hall employs highly experienced chefs. 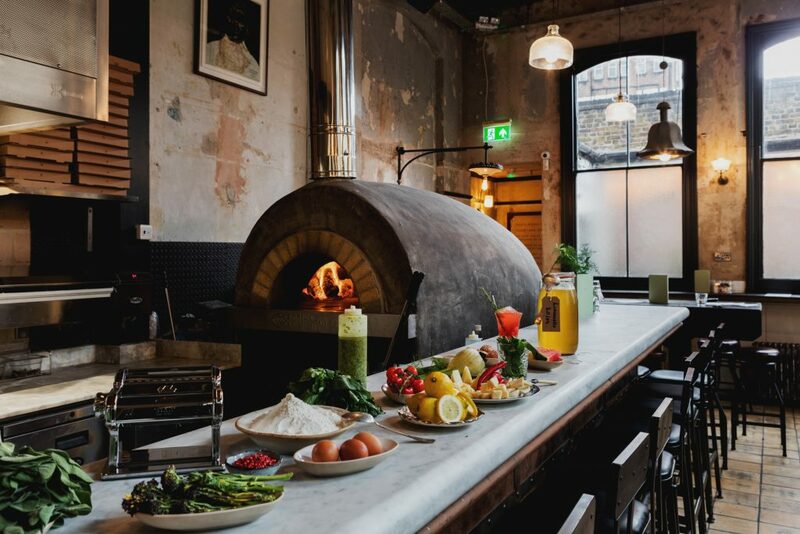 Pizza cooked in a wood-fired oven is still quite rare in London, and its special flavour is one of the reasons Martello Hall has become so popular since it opened in December 2016. Flat Iron's two-metre wide wood-fired spit roaster. Martello Hall's wood-fired Italian pizza oven.